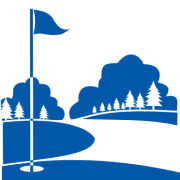 Kenton County Golf Courses, Willow is a municipal golf course located in Independence, Kentucky. The course originally opened in 1978, it features bentgrass greens and fairways. The course consists of five Par 3's, eight Par 4's and five Par 5's and plays to a maximum distance of 6791 yards with a course rating of 72.6 and a slope of 137 over 18 holes. Five sets of men's tees and two sets of ladies' tees create an enjoyable test of golf for players of all abilities.